Eiji (Ken Takakura) works as a prison officer in Hokuriku. At the age of 53 Eiji loses his wife who he loved the most. 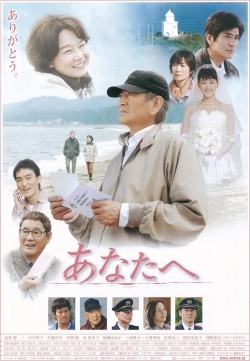 Eiji then receives a letter from his dead wife which requests that her ashes be spread by in the sea next to her hometown. Her wife never mentioned such a thing while she was alive. In order to find out her real intentions, Eiji heads to his wife's hometown of Nagasaki with his homemade camper van.